As far back as I can remember I was interested in photography. I’ve always considered myself an artist and used to take pictures with my father’s 35mm cameras as a child. My interest in beautiful visuals was born. When he later bought me a camera of my own I took it everywhere possible and the passion was solidified! My approach to photography is quite simple – get to know my subject. This is especially important for wedding photographs, my specialty. An emotional, romantic, and extremely significant event in life; these moments are best captured when the couple is most comfortable with their photographer. Nobody wants to feel like a stranger is intruding on them. When the betrothed feel at ease about the person capturing their most intimate moments on their wedding day, the honesty of their emotion shines brightly in the images. Candid, un-staged moments come together with breathtaking results. As an avid outdoorsman, my contemporary approach to photography makes your wedding, special event, or family portraits come to life with realistic emotion and warmth. My spare time is spent on adventurous outings with my own daughter camping, rock climbing, fly fishing, and a number of other visually stimulating environments. These activities keep my eye sharp and my photography skills challenged. In addition, I’m able to keep a fresh, edgy approach to my work. I’m committed to delivering a quality style to each client. You’ll find my laid-back and genuine approach quite successful at capturing your special moment. 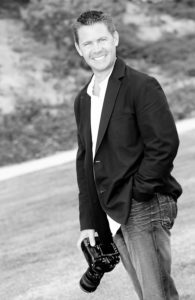 With 20 years of experience in photography, print, and web design my stylistic and modern technique will deliver high-quality images that accurately capture the moment. Copyright © Scott Land Photography. Made with ♡ by JT.